The Nectar headpiece is our newest obsession. A fresh take on decadence, this blush and gold wedding headpiece is rich in honey and soft sweet tones set onto golden leaves. Opulent and romantic, it’s reminiscent of a bouquet of mixed flowers in various stages of bloom. Bursting with sugary sentiment, Nectar’s ravishing blush rose details and delicate smaller buds were inspired by wild roses and a warm evening sky. An inherently regal piece that took inspiration from the Palace of Versailles. We adore this piece for the regal and enchanting mood it creates. It captivates with its golden hues and rich blush and champagne colour tones. 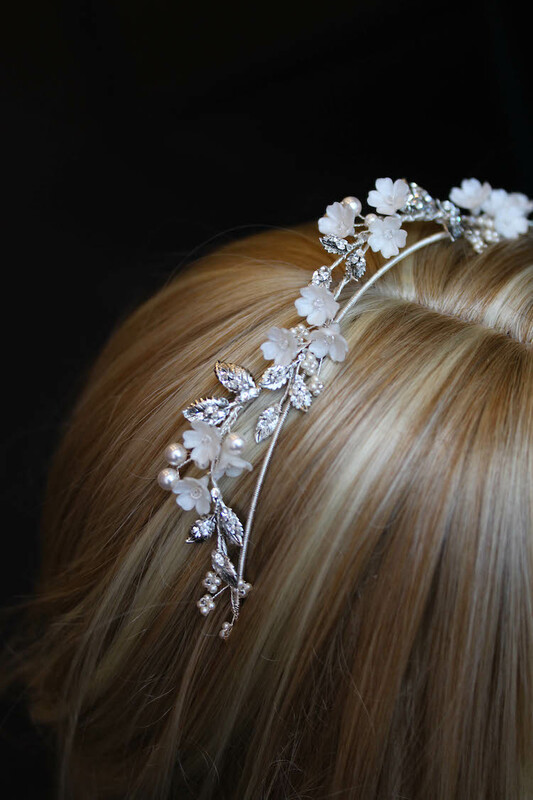 Perfect for a garden wedding, enchanted aisle or any opulent occasion. This blush and gold headpiece can be styled with ivory or cream lace wedding gowns, sheer illusion necklines and sleeves or modern sleek wedding gowns. We love to style this richly feminine blush and gold wedding piece with or without a wedding veil. The warm and sweet tones pair beautifully with blonde or brunette hair, and when worn against black hair, the look is bold and exquisite. This wild beauty adds an element of garden grandeur like no other. A unique keepsake for your wedding day. 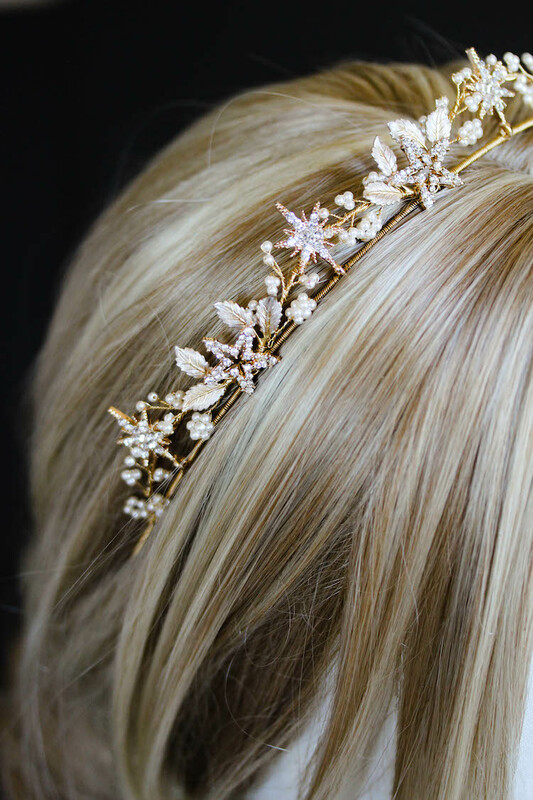 If you love this piece, or would love to chat about creating a custom piece inspired by this blush and gold wedding headpiece, please feel free to get in touch. Let’s create something beautiful.